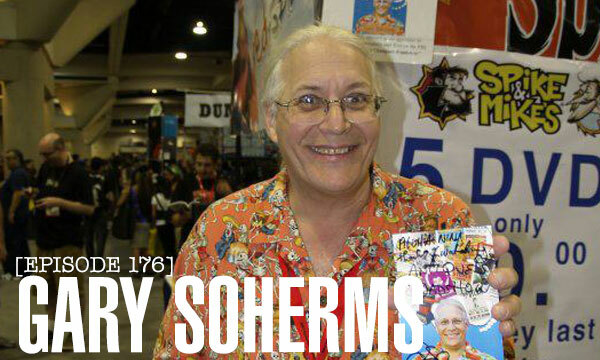 Gary Sohmers is one of the founders of Pop Culture Expo in Boston during Memorial Day weekend this year — plus, he is officially the coolest person we’ve had the pleasure of having on the podcast! He spoke to us about his vision for Pop Culture Expo and the industry as he has seen it evolve over the years. I was so happy when I found out the All Shapes and Sizes panel was coming to Comic Con. The first time the panel was conducted was at Wondercon and it was such an amazing experience. Leah Cevoli pulled a Nick Fury and assembled a wonderful group of women to discuss the issues of body image in the media and how it affects women in every day life. It was incredible to see this issue discussed in a public forum and I could not have been happier that the discussion was heading to Comic Con. One of the great things about this panel is the variety of panelists. Just like the title of the discussion, the women on the panel are of all shapes and sizes and cover multiple facets of this issue because of their different roles in the entertainment industry and the geek community. Go to their Kickstarter page for more information! We Lady Geeks tend to get around in Los Angeles and this past Wednesday, SailorMizz and I were able to attend a mixer hosted by FilmBreak.com at the Hollywood Roosevelt Hotel. Actress and producer, Helenna Santos-Levy, have teamed up with FilmBreak to celebrate her latest project, Ms. in The Biz. Ms. in The Biz is a magazine-style blog that will be written by over 70 female contributors who work in the Hollywood industry. Each writer will offer a different perspective about their lives, aspirations and projects in the entertainment industry. Helenna’s goal is to promote a positive and supportive community for women. Our interview with the ladies pictured above, Brea Grant (Heroes), Leah Cevoli (Deadwood, Robot Chicken), Helenna (the lovely founder!) and Taryn O’Neill (Granite Flats) will be up soon. For now, enjoy our photos from the event after the jump. The way women view their bodies and the way society dictates women view themselves is, in my opinion, a topic that is not discussed enough. That’s one of the many reasons why I so looked forward to this panel at WonderCon, created and moderated by Leah Cevoli. We were lucky enough to discuss the topic with Leah before WonderCon, and the panel gave us insight to other women’s struggles and opinions on the topic. 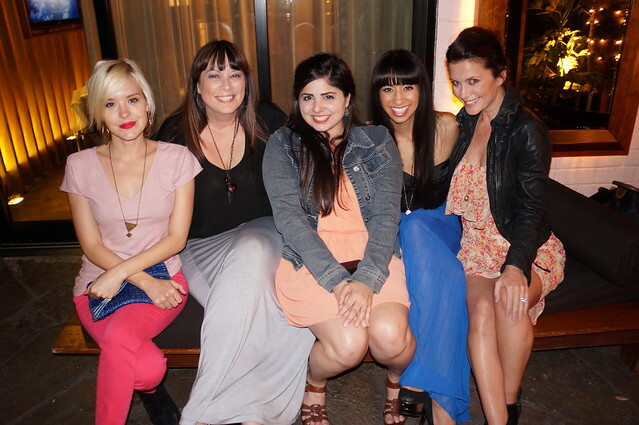 The panel comprised of Leah Cevoli, Amber Krzys, Lynn Chen, Helenna Santos Levy, Miracle Laurie, and Adrianne Curry. 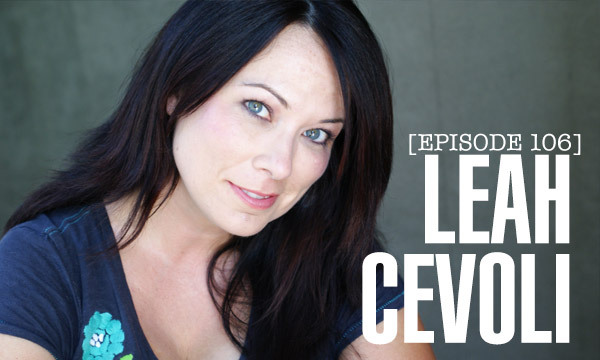 This weekend at Wondercon, actress and all around lady-of-all-trades, Leah Cevoli is moderating a panel called All Shapes and Sizes Welcome, discussing the female body image and women’s issues in the industry. The Lady Geeks also open up about their own personal experiences from struggling with weight gain to skinny-shaming to finding self-love. We also get into discussions about cats (again), our dream bubble-baths, Jesus and talking cheeseburgers. If you’ll be at Wondercon, we hope to see you at Leah’s panel on Saturday! Geek Girls Creating Their Own Films & Shows was the last panel I attended at Comikaze Expo and it was a great way to wrap up the convention experience. 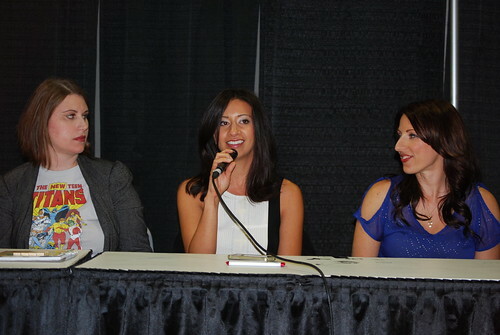 I love that that the convention had panels that centered around the ladies in our vast community. 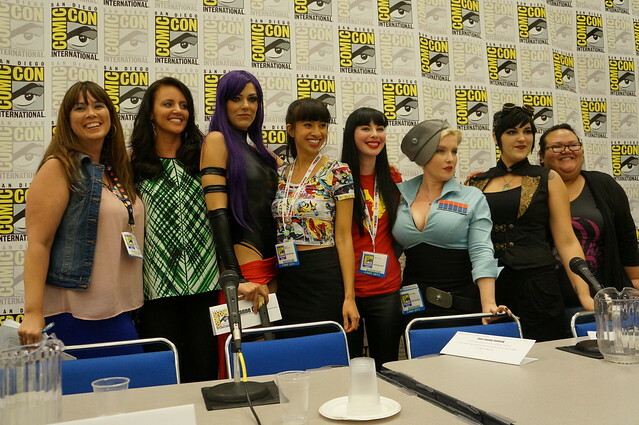 The panelists were Kristen Nedopak (Fight Class, Think Hero TV), Leah Cevoli (Robot Chicken), Stephanie Thorpe (ElfQuest), Crix Lee (GirlGamer) and Helenna Santos Levy (American Reunion)– plus, a surprise appearance from Jessica Mills (Awkward Embraces). All of them had different background and stories on how they made a career out of their own geek passions.